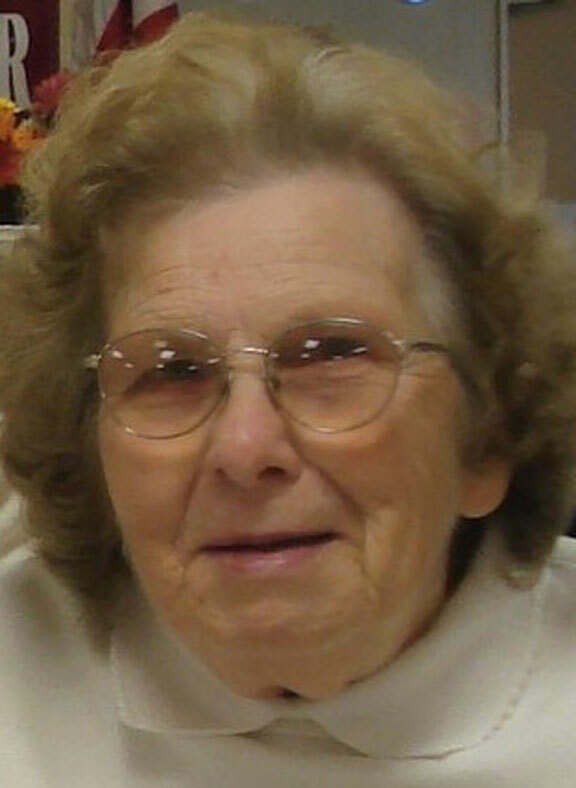 NAUGATUCK — Marie “Daisy” (Anderson) Ostrander, 96, the widow of William F. Ostrander, Sr., passed away peacefully on Oct. 14, 2018, at The Crestwood Center in Milford, N.H.
Daisy was born on May 31, 1922 in Bethany, the daughter of the late Otto and Julia (Dalton) Anderson. Daisy was a longtime resident of Naugatuck and worked as the payroll supervisor for the U.S. Rubber Co./Uniroyal Footwear until it closed in 1979. A strong advocate for environmental improvements, Daisy was an active member of PEG, Naugatuck’s Earth Day cleanups, and was involved in the startup of the Good Morning Naugatuck program. Daisy was predeceased in 1996 by her beloved husband and camping partner, Bill, and by her seven brothers, Francis, Harold, Edward, Carl, Raymond, Ralph (Pete) and Robert. She is survived by her son, William F. Ostrander, Jr. and his wife, Theresa, of Naugatuck; her daughter, Susan O. Geraghty and her husband, James, of New Hampshire; her grandchildren, Patrick Geraghty, Megan Hostler (Richard), Breamond Scala (Anthony) and Erik Ostrander (Aline); her great-grandchildren, Ethan Hostler, Jason Hostler, Annaleigh Scala and Anthony Scala, and several nieces, nephews and cousins. A funeral service will be held Friday, October 19, 2018 at 11 a.m. at the Buckmiller Thurston Mengacci Funeral Home, 82 Fairview Ave., Naugatuck. Burial will follow in Grove Cemetery. Calling hours are Friday from 9:30 to 11 a.m. In lieu of flowers, donations may be made in Daisy’s honor to Animals for Life, P.O. Box 1481, Naugatuck, CT 06770.